Tempting photo, all those pastries in a row. Lovely entrance with the tiles. BC always helpful, especially when food is involved. That video was fantastic. Thanks for sharing it. Those pastries look fantastic. I'd love to try one. It's a fascinating place. I'm trying to imagine the smell...that would drive me crazy and if I worked there, I'd probably be 300 pounds in a month! Thanks for your funny (but serious) comment on Ocala! What you said could certainly apply to our Congress! What an interesting posting, including the link. Great video, Jose!! And I do wish I had some of those pastries right now for my breakfast!! Hope you have a great new week!! Oh egg tart and a good cup of coffee. I'm hungry! And the place is so beautiful too! They look like a pair of busy bakers. 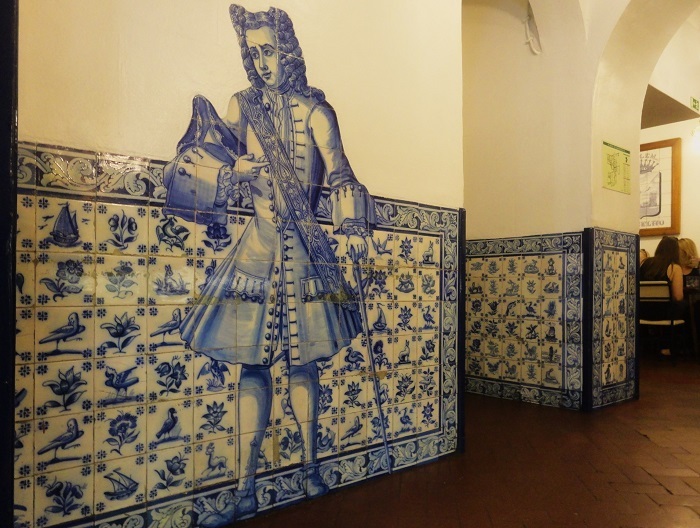 Everywhere you go, you come across beautiful tile work and interesting places. These look so good, especially now in the week of Passover when such things are forbidden. Ah, quanta saudade dos pastéis de Belém... mas ano que vem estarei lá novamente para provar esta delícia!!! I love the tiles you show us, Jose! 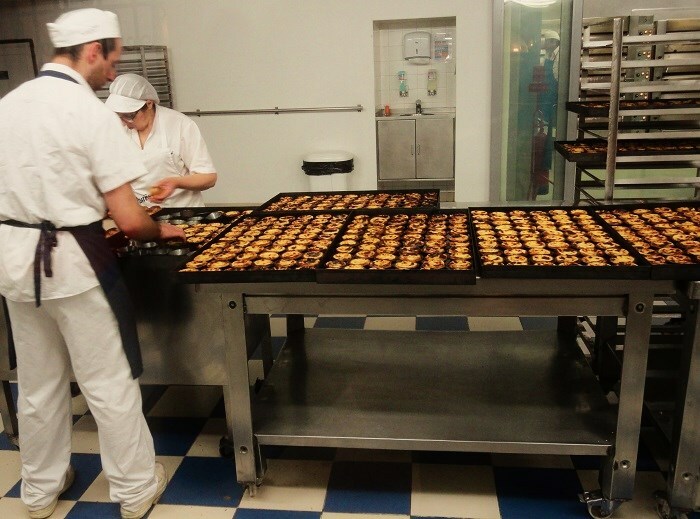 Wish I were there to sample one of those tarts. The tile work is beautiful!